In Group Music Therapy Alison Davies, Eleanor Richards and Nick Barwick bring together developments in theory and clinical practice in music therapy group work, celebrating the richness of what group analytic thinking and music therapy can offer one another. The book explores the dynamic elements of the processes that take place in both group analytic therapy and group music therapy, exploring both the commonalities and the distinctive characteristics of the two modalities. To music therapists, psychotherapists and other arts therapists Group Music Therapy offers a body of knowledge and enquiry through which to understand the music therapy group process through some of the central proposals of group analysis; to group analysts it offers insight into the possibilities of non-verbal communication through improvised music and, more widely, invites thought in musical terms about the nature of events and exchanges in a therapy group. Links are made with group analytic theory as well as with other associated theoretical traditions, such as attachment theory and theories of early infant development. 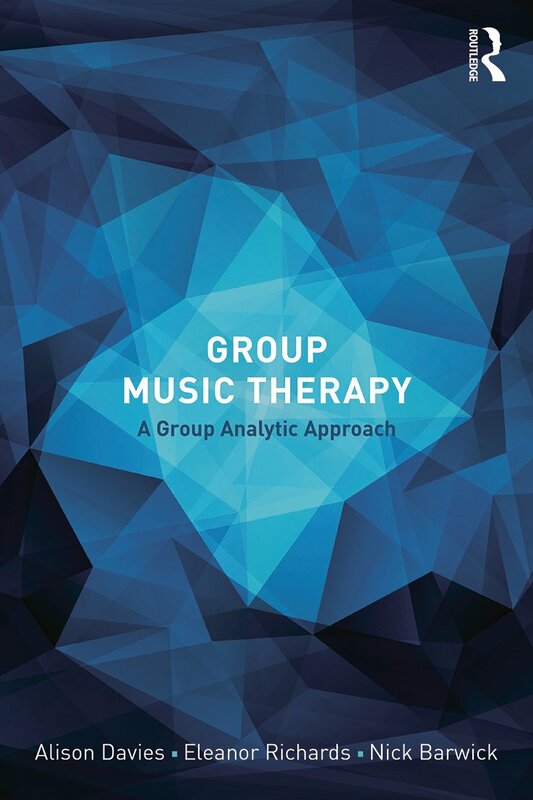 The book explores the history of group music therapy and the history of group analysis, looking both at core concepts and at more recent developments. Attention is also given to developmental issues, drawing upon theories of infant development and attachment theory and clinical vignettes drawn from music therapy practice with a wide range of patient groups illustrates these ideas. The book concludes with a discussion of the possibilities of co-therapy and other collaborative working and of the value of experiential groups in training. Group Music Therapy will be a key text for clinicians and students seeking to expand their theoretical thinking and enrich their practice, and offers a grounding in group analytic ideas to professionals in other disciplines considering referrals to group work. Contents. Notes on Contributors. Acknowledgements. Richards, Preface. Group Music Therapy: Historical Perspectives. Davies A History of Group Work in Music Therapy. Odell-Miller and Richards A Personal Account of the Development of Music Therapy Groups in the UK. Group Therapy: A Group Analytic Perspective. Barwick Core Concepts in Group Analysis: The development of the principle of interconnectedness. Barwick Core Concepts in Group Analysis: What happens in groups? Barwick Core Concepts in Group Analysis: What does the conductor do? Barwick Developments in Group Analysis: The mother approach. Barwick Developments in Group Analysis: The other approach. Group Music Therapy: Developmental Perspectives. Davies Early Years: Experiences with others. Richards Music, Attachment and the Group: Mainly theory. Richards Music, Attachment and the Group: mainly practice. Group Music Therapy: Clinical Perspectives. Clinical Vignettes. Davies Co-therapy. Davies Experiential Groups. Eleanor Richards is a senior lecturer in music therapy at Anglia Ruskin University, Cambridge, and a psychoanalytic psychotherapist and supervisor in private practice. She has a longstanding interest in group work and is involved in the development of music therapy training and practice in India.